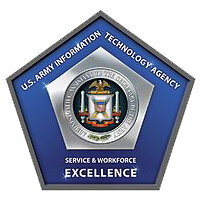 The U.S. Army Information Technology Agency (ITA) is responsible for the Transport Management for Long Haul and Point to Point Communications within the Pentagon and National Capital Region (NCR), including managed LAN/MAN/WAN connectivity and Time Division Multiplexing (TDM) technology. Under subcontract to General Dynamics, TekSynap supervises nearly $20M annually in Enterprise Transport projects from development of the Technical Analysis and Cost Estimate (TACE) to implementation and close-out. Through careful management, all projects to date have been delivered on time and within budget. We also provides the Chief Architect for the ETM Program who serves on the Architecture Review Committee, as well as providing Tier I and II network engineers working within the Operation Center. Under Catapult’s Defense Continuity Integrated Network (DCIN) Support Program, TekSynap provides System Architecture and Engineering Services. The DCIN Program provides a centralized continuity network consisting of multiple remote datacenters, petabytes of storage, a large SAN environment at each datacenter, WAN infrastructure for replication and fail-over support, fail-over software configuration, and testing for a large number of servers from tenants across the Pentagon.